Meet Sara and Justin. 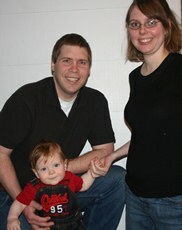 Married in June 2011, they welcomed their first child in August 2012. They’re trying to make their Catholic faith a priority as they juggle work and home responsibilities.